On Friday evening as the sun descended over the old Hollywood set of “Desperate Housewives,” Elon Musk took to a stage and fired up his presentation about climate change. It was a strange scene, with hundreds of people crowded into the middle of a subtly artificial suburban neighborhood. It wasn’t until about a minute into the speech that Musk casually let the crowd in on Tesla’s big secret. 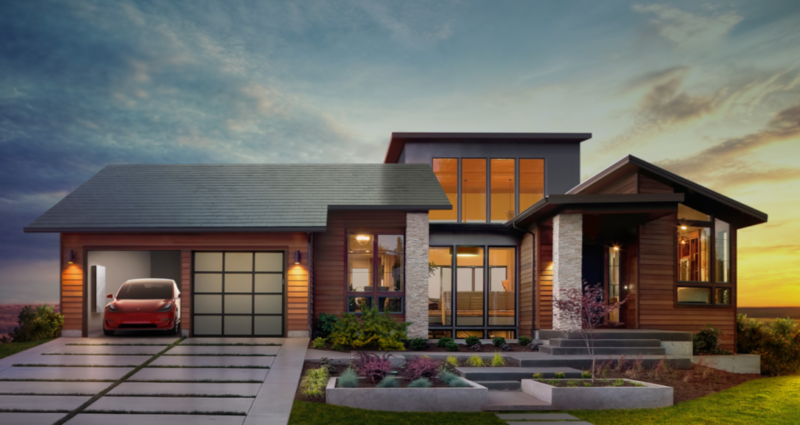 “The interesting thing is that the houses you see around you are all solar houses,” Musk said. “Did you notice?” Continue reading. 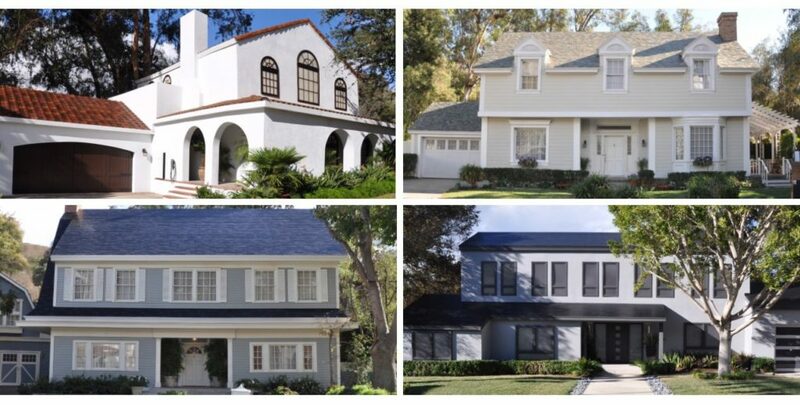 Available in different styles, Tesla’s solar roofs are designed to mimic traditional styles. Photos from Tesla Media Release. This entry was posted in Installation, NewsBlog and tagged Bloomberg, Elon Musk, Nebraskans for Solar, NET - Nebraska's PBS & NPR Stations, Tesla, Tesla's solar roof, Utility Dive on October 31, 2016 by Helen Deffenbacher. 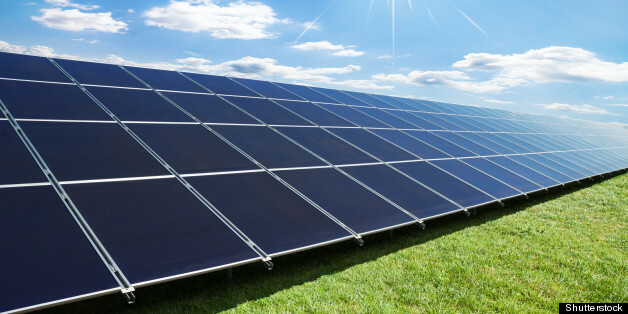 On August 12th of this year, the Vermont utility Green Mountain Power discharged its 2-megawatt solar and 3.4-megawatt-hour storage microgrid to reduce the utility’s contribution to New England’s annual peak demand. By reducing demand during this one-hour regional peak, the microgrid saved the utility’s customers $200,000. Throughout the rest of the year, the batteries are helping reduce system-operating costs by reducing the utility’s demand during monthly transmission peaks and providing quick-response to balance fluctuations in renewable energy generation. Read more here and here. 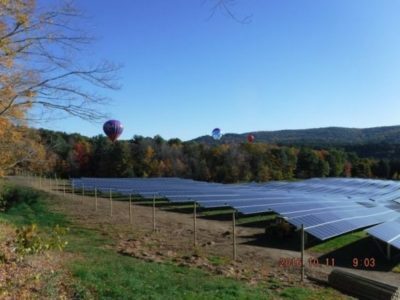 Photo: Green Mountain Power’s Hartford Solar facility: Green Mountain Power Facebook page. 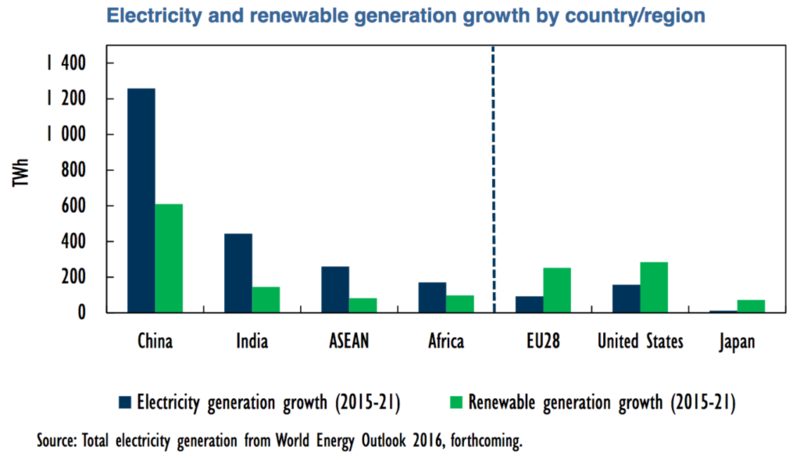 This entry was posted in Energy Storage, NewsBlog and tagged energy storage, Energy Storage News, Green Mountain Power in Vermont, microgrid, Nebraskans for Solar, reducing peak demand with solar+storage on October 30, 2016 by Helen Deffenbacher. bins . . . Across other Central campuses, there are composting sites, bee colonies and solar panels, and the campus in Hastings is adding a 1.7-megawatt wind turbine. The $3.5 million to $4 million wind turbine project is currently underway and expected to be operational by 2017. Bluestem Energy Solutions of Omaha, which will operate the turbine, has a 25-year agreement with Hastings Utilities to purchase the power. Click to read more. Photo Credit: Julie Blum / The Columbus Telegram. 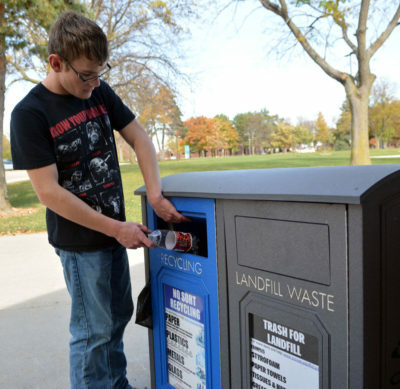 Tanner Gasper, a freshman at Central Community College-Columbus, recycles a plastic bottle Thursday at the local campus. CCC earned the Green Team of the Year Award for its environmental sustainability initiatives. 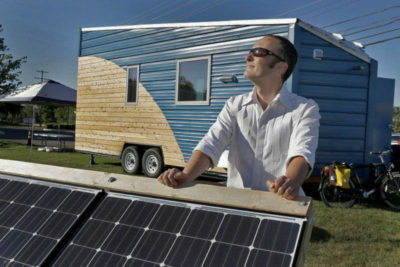 This entry was posted in Nebraska / Midwest News, NewsBlog and tagged Ben Newton - CCC's Environmental Sustainability Director, Central Community College's sustainability initiatives, environmental sustainability, Green Team of the Year Award, Nebraska campuses reducing their carbon footprints, The Columbus Telegram on October 28, 2016 by Helen Deffenbacher. Click logo to link to the conference website. This year’s conference will kick off with a site tour of Lincoln Electric System’s SunShares Community Solar Project, Sunday, November 6 from 2:00 p.m. to 5:00 p.m. The tour will leave from the Cornhusker Marriott Hotel and the fee is just $10. Registration for the conference is $150, and $175 for walk-in registrations the day of the conference. Student registration is $65. 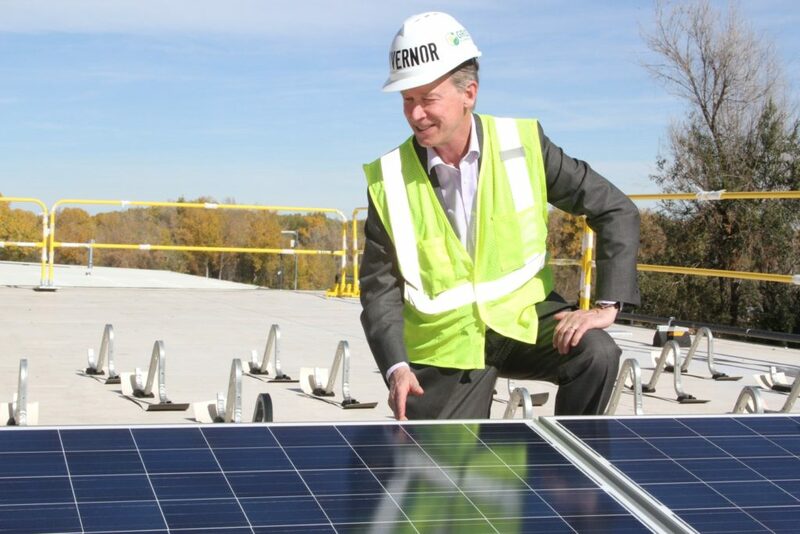 Click here to register for the conference and solar project tour. Also check out this year’s conference schedule and news releases. Nebraskans for Solar & Nebraska Solar Schools will be among the exhibitors sponsoring booths this year. Stop by and see us! This entry was posted in Nebraska / Midwest News, NewsBlog and tagged 9th Annual Nebraska Wind and Solar Conference & Exhibition, Nebraska solar and wind energy news, Nebraskans for Solar, solar & wind development in Nebraska, solar energy seminars in Nebraska on October 28, 2016 by Helen Deffenbacher. 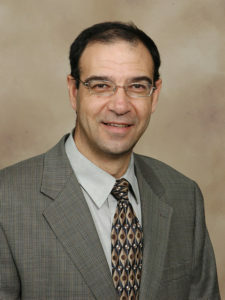 “At today’s gasoline and electricity prices in Nebraska, you can spend $50 on gasoline and drive 454 miles or you can spend $50 on electricity and drive 1,666 miles, cutting the carbon emissions in half or more,” said Moe Alahmad, an associate engineering professor at the University of Nebraska-Lincoln on the Omaha campus. He reported his research Friday to a special legislative committee charged with working toward a state action plan on climate change. State Sen. Tyson Larson of O’Neill, co-chairman of the committee with Sen. Ken Haar of Malcolm, said Monday that he believes that electric vehicles have a role to play in the state’s response. Hastings introduces its first electric vehicle charging station for use by public, Omaha World-Herald. Hastings officials gave the traveling public a jolt Monday afternoon. The city introduced its first electric vehicle charging station, as well as the newest addition to its city fleet — a 2016 Ford Fusion hybrid vehicle. The electric vehicle charging station, which is available for public use, is in the parking lot of the Hastings Museum, 1330 N. Burlington Ave.
On Monday, Nov. 7 Nebraska State senators Ken Haar, Heath Mello, John McCollister, Patty Pansing Brooks and Ken Schilz will discuss what has happened in the Legislature regarding wind and solar energy legislation, and what needs to happen in the future to advance those industries. The discussion begins at 8:45 a.m. during the Nebraska Wind and Solar Conference. “This is a great opportunity to not only hear from but meet the State Senators who have been instrumental in the legislative changes made in recent years to improve the competitiveness of Nebraska wind and solar energy,” said Adam Herink, conference co-chairman. Click logo to link to the Nebraska Wind and Solar Conference website. This entry was posted in Electric Vehicles, Green Campuses, Nebraska / Midwest News, NewsBlog and tagged 9th Annual Nebraska Wind and Solar Conference & Exhibition, economic and environmental benefits of electric vehicles, Hasting's first electric vehicle charging station, Hastings Tribune, Omaha World Herald, renewable energy development in Nebraska, research on electric vehicles, state action plan on climate change on October 25, 2016 by Helen Deffenbacher. 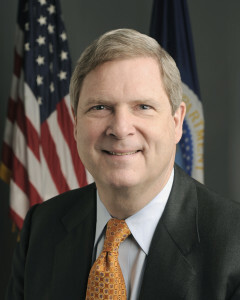 Agriculture Secretary Tom Vilsack today announced that the U.S. Department of Agriculture (USDA) is investing more than $300 million to help hundreds of small businesses across the country save money on their energy costs by adopting renewable sources or implementing more efficient energy options. Vilsack made the announcement at Lady Bird Johnson Wildflower Center in Austin, Texas, today during a meeting with several local business owners who will make use of these loans and grants. Today, Secretary Vilsack announced hundreds of new projects like the one I visited over the summer in Central City, Nebraska. It exemplifies the strategic thinking our rural communities use daily to find new ways to prosper. A community just shy of 3,000 residents, Central City is home to the first community solar garden project ever developed in Nebraska. Read the entire post. 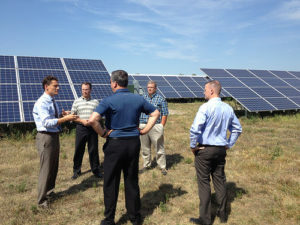 Photo: Administrator Sam Rikkers (left) discusses the Central City Solar Garden Project with (L-R) City Administrator Chris Anderson, Cliff Mesner of Mesner Development Company (with his back to the camera), and Bill Sheppard and Jeff Carpenter of USDA Rural Development’s Nebraska offices. This entry was posted in Nebraska / Midwest News, NewsBlog and tagged Agriculture Secretary Tom Vilsack, Central City's Community Solar Garden, Nebraskans for Solar, U.S. rural economic development, USDA Rural Energy for America Program (REAP) on October 25, 2016 by Helen Deffenbacher.